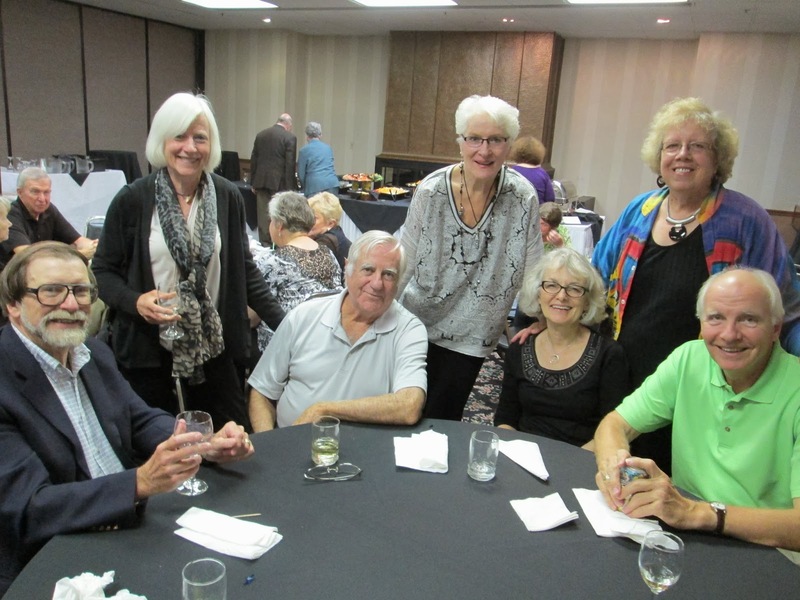 Earlier this evening the Catholic Coalition for Church Reform (CCCR) hosted a pre-Synod of the Baptized 2013 reception at the Ramada Mall of America Hotel. 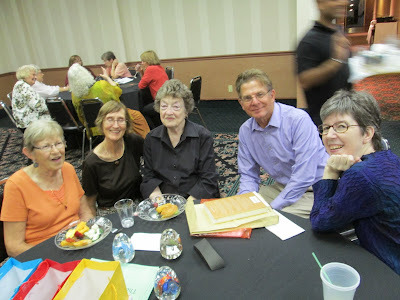 Present were CCCR board members, Council of the Baptized members, key organizers of Synod 2013, and special guests – including synod keynote speaker Sister Gail Worcelo. Synod 2013 takes place tomorrow, Saturday, September 28, 2013 at the Ramada MOA. It's not too late to attend! For more information, see this previous PCV post. 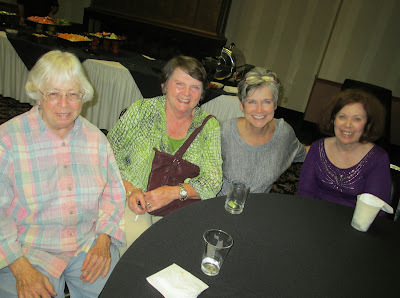 Following are photos from this evening's reception. Above: From left: Bob Beutel (CCCR), Karin Grosscup (outgoing Council of the Baptized member and"All Things Council" Synod 2013 break-out session co-facilitator), Don Conroy (CCCR, outgoing Council member, and "All Things Council" break-out session co-facilitator), Nancy Cosgriff ("Integrating the Universe Story with Our Christian Story" break-out session facilitator), Kendra Rodel, Katie Johnson (Council of the Baptized support team member), and Doug Rodel (Council support team member). 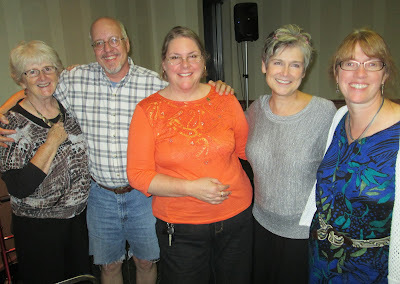 Above: Rosemary Desmond (outgoing Council member), Brent Vanderlinden (outgoing Council member), Lyn Yount (Council member), Mary Bet Stein (CCCR, Council member, and "Building Alternative Models of Church" break-out session facilitator), Lisa Vanderlinden (outgoing Council member). 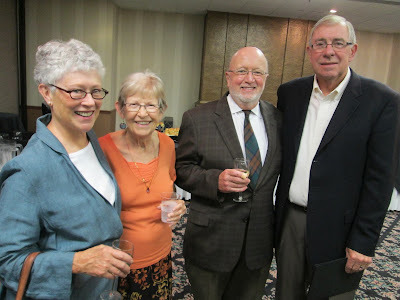 Above: Carole Kastingar, Karin Grosscup (outgoing Council member and "All Things Council" synod break-out session co-facilitator), James Moudry (Council member), Sister Gail Worcelo (Synod 2013 keynote speaker), and Michael Bayly (CCCR and Progressive Catholic Voice editor). 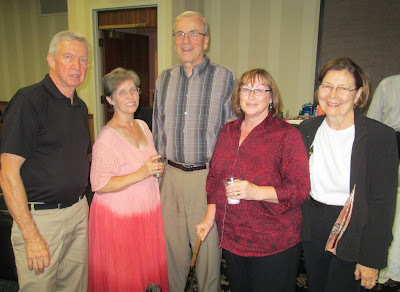 Above: Eileen Rodel (Council member), Judith McKloskey, Paul Ruddy (CCCR and "Bishop Selection" synod break-out session co-facilitator), Jeff Grosscup, and Patty Thorsen (Council support team member and "Bishop Selection" break-out session co-facilitator). 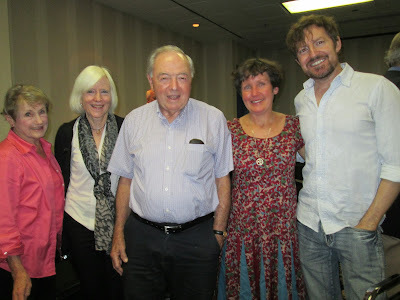 Above: Ron Strand, Jeanne Cornish (Synod musician), Ed Walsh (CCCR), Sue Jendro (Synod musician), and Bonnie Strand (Synod 2013 Prayer Coordinator and "Moving Beyond Alienation with the Church" break-out session co-facilitator). 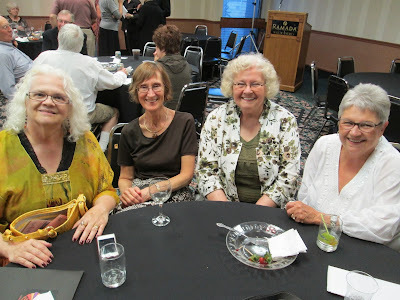 Above: Dorothy Irvin (CCCR), Mary Sutherland (CCCR and Synod 2013 Logistics Coordinator), Mary Beth Stein (CCCR, Council of the Baptized member, and "Building Alternative Models of Church" Synod 2013 break-out session facilitator), and Connie Aligada (CCCR). Above: Mary Ellen Jordan (incoming Council member), Eilenn Rodel (CCCR and Council member), Jim Jordan (incoming Council member), and Bernie Rodel (CCCR and Council member). Above: Lonne Murphy (Synod musician), Judith McKloskey (Synod host), Shari Steffens (Lay Preaching Proposal Committee member), and Mary Beckfeld (2013 Adsum Award recipient). Countdown to Synod 2013 – Part 1: When, Where, Why, What!